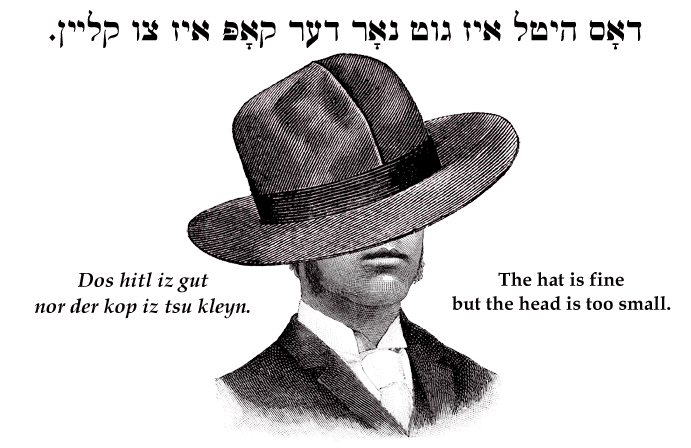 Yiddish Insult: The hat is fine but the head is too small. דאָס היטל איז גוט נאָר דער קאָפּ איז צו קלײן. Dos hitl iz gut nor der kop iz tsu kleyn.